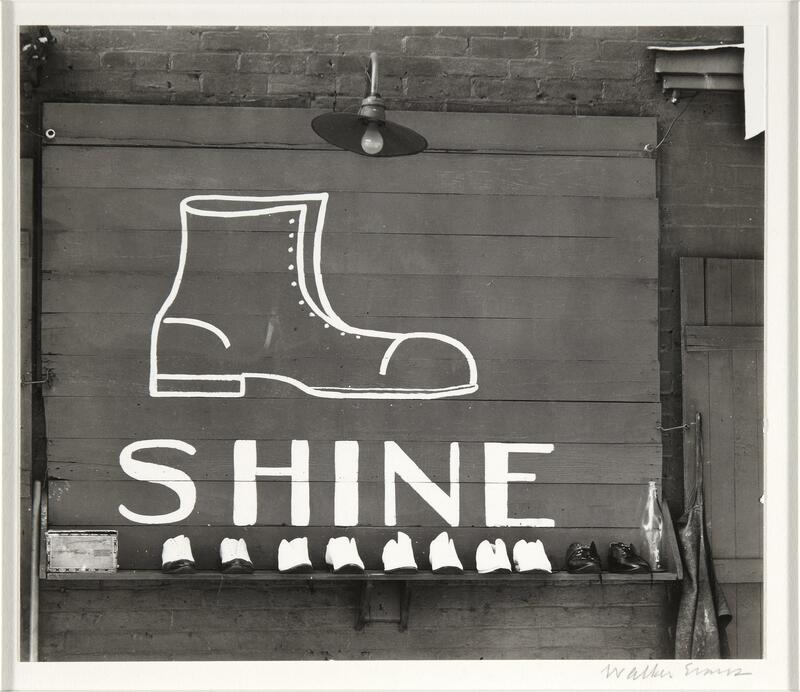 Walker Evans, Artist-In-Residence. / Walker Evans. Evans, Walker ( 1903-1975)Hanover, New Hampshire : Hopkins Center, Dartmouth College, 1972. Walker Evans : American Photographs / Walker Evans. Evans, Walker ( 1903-1975)New York : The Museum of Modern Art, 1988. Walker Evans : First and Last / Walker Evans. Evans, Walker ( 1903-1975)New York : Harper & Row, 1978. Walker Evans : Florida / with an essay by Robert Plunket. Evans, Walker ( 1903-1975)Los Angeles (California) : J. Paul Getty Museum, cop. 2000. The bitter years, 1935-1941 : rural America as seen by the photographers of the Farm Security Administration : [exhibition] / edited by Edward Steichen. New York, : Museum of Modern Art, cop. 1962.